Anderson, D.m.. "Thousand Islands". The Canadian Encyclopedia, 07 December 2016, Historica Canada. https://www.thecanadianencyclopedia.ca/en/article/thousand-islands. Accessed 19 April 2019. Thousand Islands (Ontario part), an 80 km long section of the St Lawrence River, extending downstream from Lake Ontario between Kingston and Brockville and containing over 1000 rocky, wooded islands which range from several square kilometres to barely emergent rocks and shoals. Thousand Islands (Ontario part), an 80 km long section of the St Lawrence River, extending downstream from Lake Ontario between Kingston and Brockville and containing over 1000 rocky, wooded islands which range from several square kilometres to barely emergent rocks and shoals. 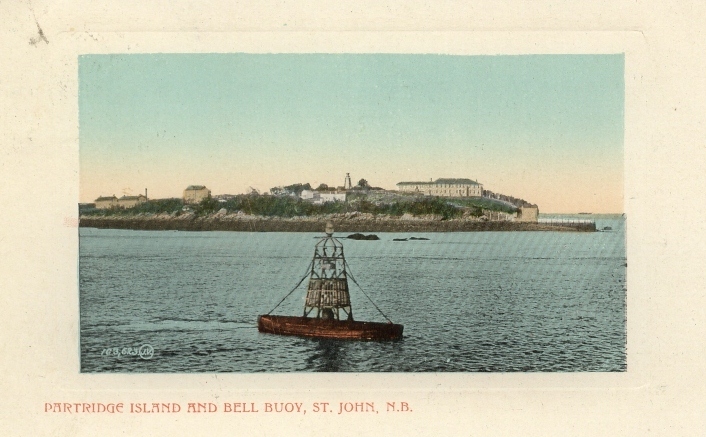 An official count recorded 1149 islands and islets, 665 of which were on the Canadian side (241 officially named) and 484 on the American side (126 named). This scenic landscape of varied islands and labyrinth passages owes its origin to a projection of Canada's Precambrian shield extending from eastern Ontario across the St Lawrence, where it underlies the Adirondack Mountains in New York state. This old (over 900 million years), complex rock, composed largely of hard granites and gneisses, was scoured and sculpted by glacial erosion into a "knob and hollow" surface. In the altered landscape after continental glaciation, the Great Lakes system found a new drainage route east from Lake Ontario, forming the present St Lawrence River. The hollows flooded and the rocky knobs became islands. This section of the great St Lawrence corridor is rich in flora and fauna, beauty and history. Waterfowl are abundant. As this area is on the southern limit of the Great Lakes-St Lawrence forest region, southern species such as shagbark hickory, American basswood and pitch pine mingle with the familiar southern Ontario deciduous and coniferous species. The varied bottom contours of the St Lawrence offer diverse fish habitats - more than 80 species have been identified, of which northern pike, muskellunge, large and smallmouth bass, and yellow perch have long attracted fishermen. Archaeological evidence indicates human activity in the area 9000 years ago. A favourite camping ground of the Iroquoians before European exploration, this part of the great river highway to the interior was traversed by explorers, missionaries, fur traders and soldiers. Colonial military conflict between Britain and France (Seven Years' War), and later between Britain and the US (War of 1812), was responsible for many place-names, such as the Navy, Admiralty and Lake Fleet islands. Endymion, Camelot and Mermaid islands are named after gunboats; others such as Gordon and Stovin were named after military commanders. Immigrants travelling to Upper Canada in the late 1700s and early 1800s, and romantic writers of that period spread knowledge of the area's beauty. 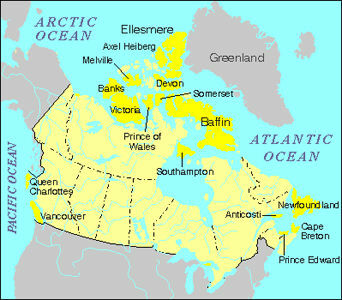 Accessibility to a prospering urban society in both Canada and the adjacent US also led to early recreational use. Hotels, often palatial, were built primarily for fishermen from the 1850s to 1870s. Church camping grounds proliferated on the islands and frequently evolved to cottage communities. Increased railway access on both sides of the river helped attract affluent tourists. Luxury hotels and steamboat excursions became popular, and elaborate summer homes began to appear, even before Confederation, 1867. In 1904 lands acquired through the acquisition of several islands from the Mississauga were set aside for St Lawrence Islands National Park. The national park is one of 2 core protected areas of Frontenac Arch Biosphere Reserve (designated in 2002). The biosphere reserve includes the Thousand Islands east of Howe Island (one of the largest islands in the chain). From the early 1800s, tourism has been an important economic contributor. Apart from some national and provincial campsites, the islands and shoreline today are largely privately owned. The Thousand Islands International Bridge (1938) crosses the St Lawrence at Hill Island, linking Ontario and New York state highways. Ontario's Macdonald-Cartier Freeway (Highway 401) greatly increased metropolitan access after the Second World War, and the scenic Thousand Island Parkway skirts the wooded coves and bays of the St Lawrence shore from Gananoque to Brockville. Tourist services also serve an important economic function for the adjacent communities of Kingston, Brockville, Rockport, Ivy Lea and Gananoque. The Thousand Islands landscape and its history have preserved what the governor general of New France Louis de Buade Frontenac described in 1673 as "the most delightful country in the world." Don Ross, Discovering the Thousand Islands (2001).